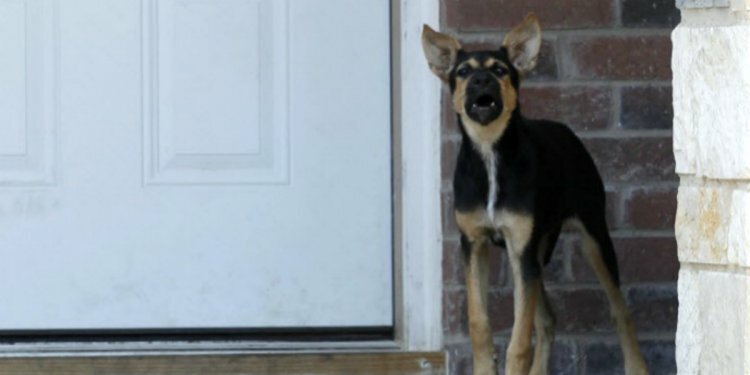 Why Get a German Shepherd? Before getting a dog, it’s best to think about your lifestyle and your family’s lifestyle. Are your hours at home irregular due to work or your social life? Do you mind having to always go home after work to let the dogs out, or staying home a lot on weekends to care for and be with your dog? Do you plan on traveling a lot in the near future? Is your time already precious to you because you have children to concentrate on and must constantly drive to lessons/practices/games already? Is everybody in your family excited about adopting a German Shepherd Dog, or would some rather have another breed? Are some afraid of large dogs? Are you considering getting a German Shepherd Dog as a “watch dog” because you are frequently away on business trips? Are you sure your spouse/partner can handle a GSD by his- herself? If not, getting a large dog for somebody who doesn’t want it or cannot handle a large dog alone could be disaster! Don’t force your opinions on your spouse/partner on this issue. If you answer yes to any of these questions, please reconsider getting a German Shepherd Dog now. Wait until your circumstances change. You’ll be glad you did, and so will any dog you may adopt. If you feel that your family situation and work hours are conducive to owning a dog, and in particular, a German Shepherd Dog, we’d love to talk to you about adopting a Rescue dog! NOTE: GSRNE does not adopt out rescue dogs to families with children under 7 yrs of age. You need a fenced area attached to your home for the dog’s safety. Dogs cannot be left outside in the fenced area without direct supervision. These policies arose out of experience. Why Should I Consider a Rescue German Shepherd Dog? Plenty of web pages and trainers and vets in the dog world right now recommend that shelter and Rescue dogs are a great choice for ownership. They are right! These GSDs can make some of the greatest companions and pets available, plus, these are dogs that need a good home now. Many who do not find a home in time face an uncertain, sometimes deadly, fate. Rescue dogs come from many places. Most are given up by their owners who don’t have time for them, who develop allergies to them, who get divorced and have nowhere to keep a dog, or develop financial hardships that preclude dog ownership. Many are given up because of a lack of training from the owners – these dogs get some training during their foster stays with GSRNE. Others are strays and/or are rescued from shelter situations. GSRNE medically treats any dog that comes into our program for any known problems, as well as updating the dog on shots, testing for parasites and heartworm, and putting the dog on heartworm preventatives. The dog’s basic temperament must meet GSRNE’s guidelines before that dog is accepted into the program. Generally, most Rescue dogs have a known history, and GSRNE volunteers will try to evaluate each dog over some time to try to ascertain whether the dog appears to be good with children, other dogs, cats, etc. During this time, GSRNE volunteers also try to get a handle on the dog’s personality and needs for a successful placement in the right kind of home. We try to brush up on the dog’s housebreaking and household manners as well. GSRNE believes in finding the right dog for the right family. This is why we have an application and interview process when you apply to adopt a dog. This process is in place to help us help you find the right dog. Personalities and breed traits vary widely in the breed, so every German Shepherd Dog out there isn’t necessarily great for every adopter. Particular types of or individual German Shepherd Dogs are just better for some people than others. Rescue groups like GSRNE can help guide you through this maze to find just the right dog for you and your family. Getting the wrong dog can be quite a travesty – it’s best to figure out what you want and what your family can handle, and then get help in finding a dog like that. Puppies are adorable fluffy, cute bundles of love, there is no question. They are quite hard to resist when you look at them. They are also extremely time-consuming and can be a lot of work, which most people just don’t expect. Puppies chew items (usually your favorite things), piddle and mess in the house, and need constant supervision. CONSTANT. They are just babies, after all! People often expect puppies to behave as if they were adult, educated dogs. This leads to frustration and disaster. If you want a puppy, be sure you have the time and patience to deal with housebreaking, crying at night, chewed furniture and other damage a puppy can cause daily. Plan on having no real time for much of anything else you enjoy doing because you must supervise the puppy, for months. Another point about puppies is, you never know how a puppy will look when it grows up, or its general personality until that dog reaches around 18-24 months old. And don’t forget the puppy energy level. That often doesn’t level off until the dog is between 2 and 3 years old! Puppies are handed over to GSRNE sometimes, but it is a rare occurrence. Most dogs accepted into GSRNE are over a year old. Which is super – you’re already partway through adolescence in a 1 yr old dog. Nothing is better than a dog that is out of adolescence! If you are looking for a nice dog that knows generally not to chew things, not to scream all night, not to mess in the house…if you’re looking for a dog that you can start obedience training and fun games with right away…for a dog that can stay home all day without a major problem…for a dog that has an adult dog’s comprehension level and attention level…if you’re looking for a dog who needs you as much as you want to want him, consider an adult Rescue dog from GSRNE!